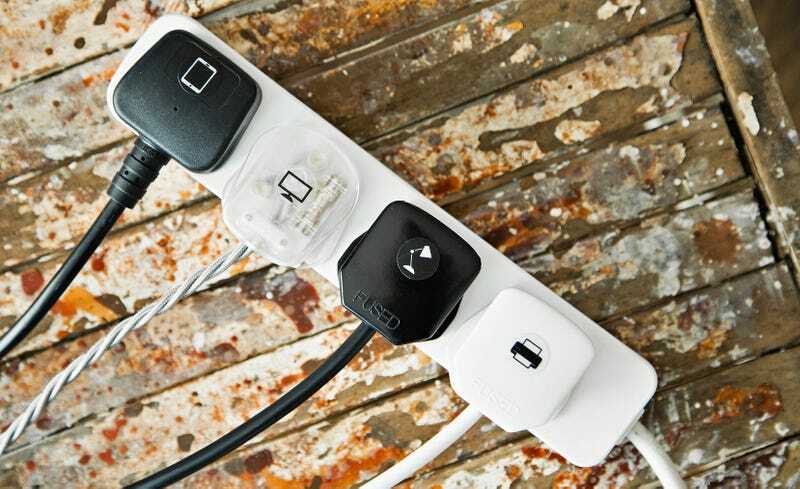 The tangled mess of wires under your desk isn’t just an eyesore. It can also make it impossible to figure out where every gadget on your desk is plugged in. Is it safe to unplug this adapter? Oops, there goes the backup drives. Unless, of course, everything was properly labeled with easy to interpret stickers. The Sticker Project is another one of those “I could just make those at home” Kickstarter ideas. Except you haven’t, you probably never will, and your cables and power strips are still a tangled mess. So why not pledge around $7 to Rob Halifax’s Kickstarter campaign which gets you either a sheet of black stickers with various gadget icons in white, or white stickers with all the icon artwork in black? As for the usual risks of supporting a crowdfunded product? There aren’t too many for something like this. Maybe the printer will jam during the first production run, but it’s doubtful that even that would have any effect on the estimated June delivery. And the only downside is that you’ll still have to spend the next three months playing Russian roulette when it comes to unplugging your gear.